Sales forecasting is key to growth. Flexie allows you to predict revenues based on the value of each deal, and the probability of a certain deal being won. Leave guesswork out of the equation; a precise quantitative model goes a long way. 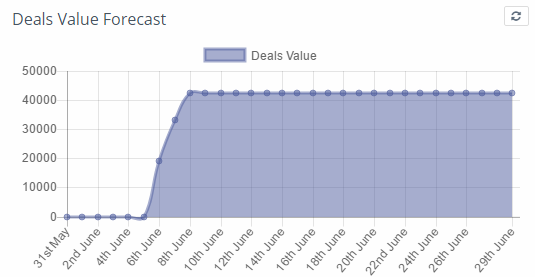 Predict with accuracy the number of deals you may close next week, or next month. With Flexie, you can predict future revenue based on your deals pipeline activity. Deals forecasting is the process of estimating the number of deals you will close within a given time frame. Each deal has a certain amount attached to it, as well as a closing date. By creating custom reports, you can get huge insight into your deals. Reports will be visible in your dashboard, which is the first thing you see when you log on to Flexie CRM. Since each deal has a defined amount and a closing date, you will be able to make an accurate prediction of future revenues through the impeccable custom reports. 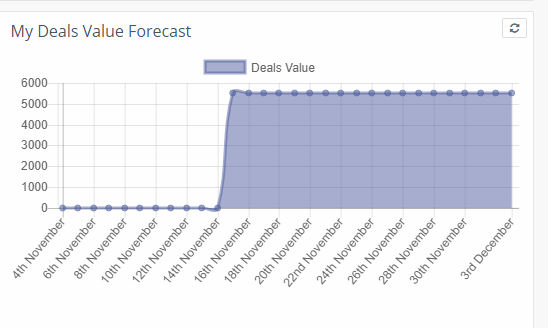 Deals forecasting not only helps you gain insight into the expected revenues for next week, month or quarter, but it also enables you to see patterns that could have otherwise gone unnoticed. The more you know about your deals value and their expected closing date, the better business decisions you can make. The more accurate your deals forecast is, the better for your company’s effectiveness and productivity. Deals forecasting has never been easier. Close more deals, increase productivity and take your business to another whole new level.